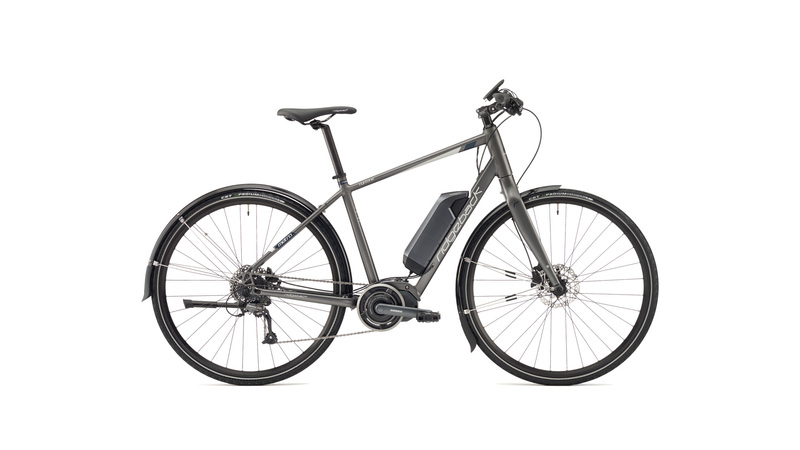 The Cyclone E-Bike is the perfect leisure and commute companion. The use of Shimano’s bench-mark STePS system provides a high level of reliability and an ease of use to match. With a charge time of four hours and a range of 125km. Designed for everyday use, a short test ride on this exciting new commuter bike will confirm how the Cyclone is the perfect leisure and commute companion. The use of Shimano’s bench-mark STePS system provides a high level of reliability and an ease of use to match. 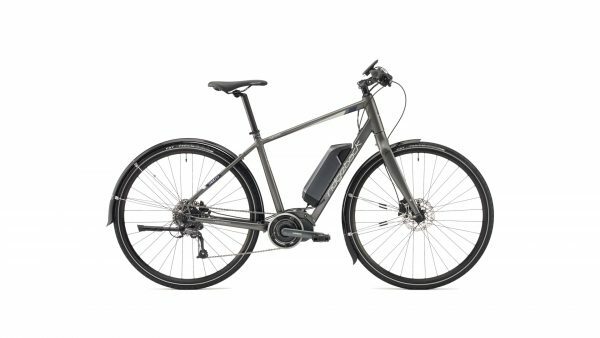 With a charge time of four hours and a range of 125km, STePS takes the E-bike market into new territory. The Metro range has been updated for 2018 including a fresh new look and updated specs. Designed around the standard Metro frame platform, Cyclone is the bells and whistles version with the remarkable Shimano STePS system for when you need a little assistance, full mudguards perfect for those rainy morning commutes and a kickstand tops off what could be our most complete package to date. Practical, reliable and stylish, A Ridgeback Metro is the perfect choice to get you from A to B. In the genre where Ridgeback first made its name, 2018 Dual Track offers our most exciting range of mountain bikes yet. The MX 2 is now specified with SR Suntour suspension forks and improved tyre clearance, this 29er is an ideal entry level MTB or robust commuter. The Ridgeback Dimension 20 is a lightweight and versatile bike for 6 – 10 years old kids with features specifically designed for smaller riders. The lightweight triple butted alloy frame at its heart makes the Dimension 20 ideal for small riders who like to ride more often.